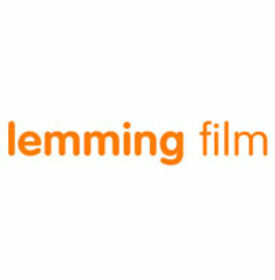 Established in 1995, Lemming Film is one of the leading film and television production companies in the Netherlands. It has a proven track record of delivering quality film and television productions. Lemming Film produces projects that reflect an open-minded vision on contemporary society and nurtures close collaborations with the most exciting screenwriters, directors and acting talent. It is a key player in the international co-productions field and is co-producing projects in Asia, South America and Europe. To actively contribute to the International production community, Lemming Film participates in d.net.work (a structural collaboration of 6 European production companies), is a part of the ACE network and the Sino-European producers network Bridging the Dragon. The company is run by producer and CEO Leontine Petit and producers Fleur Winters (drama series) and Erik Glijnis (feature films). Lemming Film has an active development team that consists of Eva Eisenloeffel and Lotte Bronshoff who are, together with the producers, creatively in charge of the (inter) national slate of projects. In 2011 Lemming Film started a German sister company called Hamster Film. Hamster Film aims to broaden the scope of children’s and family films on offer in Germany by developing high quality features and TV drama targeted at specific age groups.